Author Belle Boggs read her short story “Deer Season” at the 2016 Bread Loaf Orion Environmental Writers’ Conference. 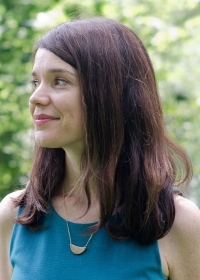 Boggs is the author of Mattaponi Queen (Graywolf Press, 2010), a collection of linked stories set along Virginia’s Mattaponi River, and The Art of Waiting: on Fertility, Medicine, and Motherhood (Graywolf Press, 2016). 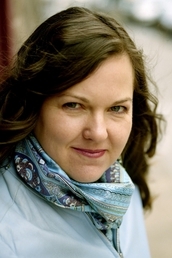 Mattaponi Queen was awarded the Bakeless Prize, the Library of Virginia Literary Award, and was a finalist for the 2010 Frank O’Connor International Short Story Award. Boggs’s stories and essays have appeared in the Paris Review, Harper’s, Orion, Glimmer Train, the Oxford American, Slate, Ecotone, and other publications. She teaches in the MFA program at North Carolina State University. Author Craig Childs read a piece of narrative non-fiction at the 2015 Bread Loaf Orion Environmental Writers’ Conference. Craig Childs writes about the relationships among humans, animals, landscape, and time. His stories come from visceral, personal experience, whether in the company of illicit artifact dealers or in deep wilderness. 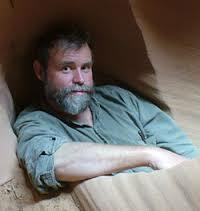 Childs’ dozen-plus critically acclaimed books include his most recent, Apocalyptic Planet, winner of the Orion Book Award and the Sigurd F. Olson Nature Writing Award. Childs’ work has appeared in the New York Times, Los Angeles Times, Men’s Journal, and Outside. A commentator for National Public Radio’s Morning Edition, Childs lives in Western Colorado and teaches writing for both University of Alaska in Anchorage and Southern New Hampshire University. Author Ginger Strand read the first chapter of her latest book, The Brothers Vonnegut (Farrar, Straus and Giroux, 2015), at the 2015 Bread Loaf Orion Environmental Writers’ Conference. Ginger Strand is the author of a novel and three books of narrative nonfiction, and has published essays and fiction in Harper’s, the New York Times, OnEarth, Tin House, The Believer, and Orion, where she is a contributing editor, and more. A former fellow in the Behrman Center for the Humanities at Princeton, Ginger has received grants from the New York Foundation for the Arts, the Mellon Foundation, the Eisenhower Foundation, and the American Antiquarian Society, as well as residency grants from the Bread Loaf Writers’ Conference, the Center for Land Use Interpretation, the MacDowell Colony, and Yaddo. She lives in New York City and the Catskill Mountains.